We will help you invest in your future. What do I need to do before I can invest? Many are the times I asked myself this question when I first began investing, and I know that there are many people out there with such thoughts in their head. There are very many success and failure stories when it comes to investing, and maybe you are one of those. For those who have taken the chance or are waiting to, congratulations for making your first step into these murky waters of investment. I know it is not an easy road as I have been through many hurdles along my journey. It all started with a few bright ideas which did not materialize into anything, and after a while, I began wondering what was not working. You see, you may have an excellent idea, but without the right execution, your business could fail. Maybe you targeted the wrong market, or your product did not solve a problem in the industry. It’s always something and most of the time; you will find that it all comes down to whether you researched your business. Have an emergency fund Most people already have emergency funds for personal use. These are the monies you resort to using when all other sources of income fail, and you must find a way to survive. Well, the same goes for a business. You may do all the required research and have an efficient team of experts showing you the ropes. However, there is no guarantee that your business will thrive in the time that you expect and you could end up making losses. The trouble begins when the time comes to pay for utilities as well as for services rendered, and the business does not have the cash you need. At this stage, people resort to using their money or using credit cards to pay off their bills. While this technique may work for a while, it is not sustainable, and you will have to work at returning the money spent. The best way to go about starting a business is to set up a savings account to which you transfer a given amount of money for an emergency. This account will hold the funds you need to get out of a fix, and the good thing about it is that the money in the bank will earn you interest over time. If you end up not using the money, you can watch it grow as you consider other forms of investment. However, do not stop the transfers owing to a huge bank balance as you never know how much cash you will require when the time comes to dig into your pockets. This life is full of surprises, and it is always good to have some shock absorbers in place. he trouble that most investors face in their early years is that they lack adequate knowledge as to what investment options are available to them and how best they can exploit these opportunities. It all comes down to what you know. If someone were to come to you and ask you to explain the difference between stocks and bonds, would you have a satisfactory answer? What if they wanted information as to the viability of mutual funds? Would you be in a position to help them? You need to know your options such that you can compare their pros and cons before investing and an excellent way to expand your knowledge is by reading. There are many investment books on the market, and they all have a lesson or two from which you will benefit. As such, work on expanding your knowledge before reaching into your pocket. When it comes to asset portfolios, you will come across a diverse range of people. Some people wish to engage in high-risk ventures which also come with high returns. Others want to invest in low-risk opportunities such as bonds, and these have correspondingly low returns. You should figure out in which direction you would like to head and whether you would prefer one method or a mix of the two. Ensure that you use the knowledge gained from your reading when making this decision. Investing falls in line with your life goals, and as such, you should figure out the latter before bringing your money into play. Take an example of a person who is investing so that they can have adequate funds to pay off their children’s college tuition. Given that this is a long-term goal, they can happily invest in opportunities that produce income in the long run. A suitable option would be in the stock market which gives annual returns in the range of seven percent. However, if you are investing in a bid to get enough money to build a home in the next five years, your focus should be on short-term investments. In this way, you can get your money soon and get started on your dream. You could have a life-changing idea, but without the financial muscle to back it up, it could easily remain as a thought. While it is correct that there are lots of investors out there who are willing to bring some money to the table, it is always best to have some financial backing of your own. In this way, you can progress with your investing with or without help. The best way forward is to start saving a given percentage of your income each month and locking it away in a savings account. When your time comes to invest, you will be happy you made this move. A wise investor once told me that the way to a healthy bank account was to deduct my savings first and pay my bills later. I thank him to this day for that invaluable advice, and I hope that you too take it to heart. It's always great to learn from the legends in the field, take a look at this list featuring the best investors that ever lived. It is always best to know whether you are making a gamble or investing your money to get future returns. 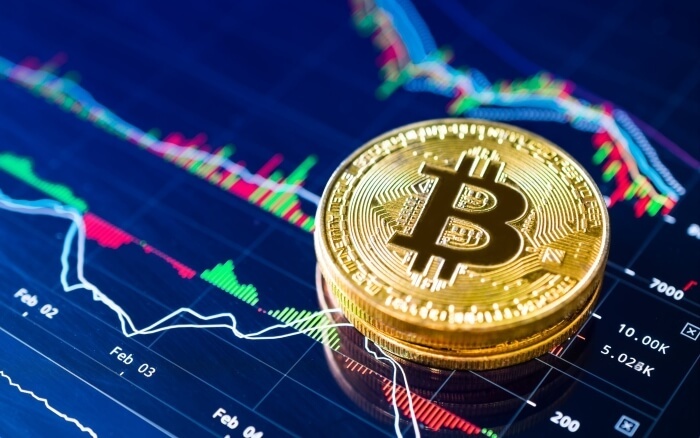 Crypto-currencies have been a hot topic for a while now and many people have come forward stating that they have made a fortune from these investments. We all look forward to that time when we can hang our work clothes and take that long-awaited vacation in the name of retirement.